Female BNC panel mount (bulk-head) connector passes through to solder cup terminal for attachment to 18-22 AWG wire. 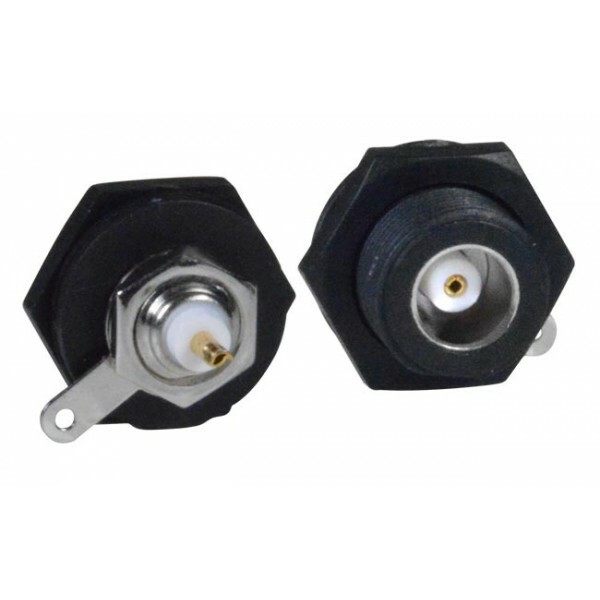 To achieve waterproof/IP67 protection, the outside BNC connection must be sealed with either a cap or a connected cable with waterproof cable gland. Requires BNC-RG59-CRP-WTP waterproof BNC RG59 cable connector for complete connection. Rear bulkhead panel mount design. Mounting hardware included – hex nut, lockwasher and grounding tab. Ideal for outdoor use with CCTV video surveillance cameras/systems.